Provide comfort for the family of Augustus Cox with a meaningful gesture of sympathy. 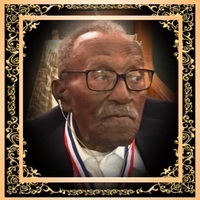 A time to be born ….. Dr. Augustus Harold Cox was born May 8th, 1915 in Starke, Florida to Reverend Raleigh Rose Cox (son of a Cherokee Indian) and Nora Evelyn Roundtree Cox (daughter of a slave plantation owner). He was the oldest of five children (Siblings - Ivory Louis Cox, Cenus Robinson, Amanda Winifred Dunbar and Raleigh Cox, all deceased). A time to live ….. Dea. Cox loved the Lord and was baptized at the Palm Grove Baptist Church in Sarasota, Florida in 1927. He was baptized in the Gulf of Mexico. In 1928, he united with the Bethel Baptist Church in Starke, FL. In 1930, he graduated from R.J.E. School as Valedictorian. In 1938, he joined Zion Hope Missionary Baptist Church. He was ordained as a Deacon in 1942. He served as Chairman of the Deacon Board for 19 years. He also served as President of B.Y.P.U., later named B. T. U. Also, he served as President of the Brotherhood Union. Additionally, he served as the Adult Women Sunday School Teacher and the Supervisor of the Zion Hope Kindergarten. He also served as Institutional Representative of the Boy Scouts of America. He was a Lifetime member of the NAACP. In 1937, he began working at the Florida Hotel. He enjoyed seeing movie stars such as Marilyn Monroe. 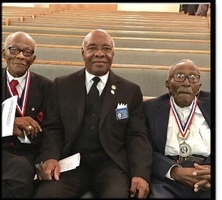 Since 1943, he was active with Prince Hall Masonry. He was a staunch Mason, who provided leadership to every house in the York Rite bodies as well as Scottish Rite Masonry. He has held positions on the local, state, and national levels to include the following: Past Master and Secretary of Harmony Lodge # 1, Honorary Past Grand Master, Member of the Order of the Eastern Star, Past Excellent High Priest of King David # 9 and Crescent #50 Holy Royal Arch Chapters, Past Grand High Priest, Worthy Joshua of Phillip Court Heroines of Jericho, Thrice Illustrious Master of North Florida Council #1 Royal and Select Masters, Past Grand Thrice Illustrious Master, Eminent Commander of Joshua #55 and S.M. Davis #99 Commanderies, Past Grand Eminent Commander of the Commonwealth of Florida, Past Most Eminent Grand Master of the Grand Encampment of Knights Templar United States of America & It’s Jurisdiction, P.H.A., Inc.; Knight York Cross of Honor of Union Priory #6. In 1970, he was coronated as a Grand Inspector General of the United Supreme Council Southern Jurisdiction. He was the Past Commander-in-Chief of Tillman Valentine Consistory #22 and Past 4th Vice-President of the Commanders of the Rite. He worked at the Western Auto Supply Store as an Auto Mechanic and retired after 25 years of service. Being a passionate advocate for education, he served as President of the Student Advisory Council at Long Branch Elementary for several years. He was well known in the Long Branch Community and attended the Long Branch Senior Center. He graduated from the National Radio Institute and Automotive Mechanic Training School. He also graduated from the Ambassador Bible College. In June of 2015, he received the Student of the Month Award at FSCJ, where he was taking computer classes at the age of 100 years old. He received an Honorary Doctoral Degree from Edward Waters College. A time to love….. In 1935, he married Annie Mae Dell Cox. From this union, Harriett Elois Haynes (deceased in 2007) was born. Annie Mae died after 23 years of marriage. In 1962, he married Lila Murray Cox. From this union, he gained a wonderful daughter, Yvonne Spencer-Elliott. And a loving son, Leroy Spencer Jr. (deceased in 1968 in the Vietnam War). A time to die…. 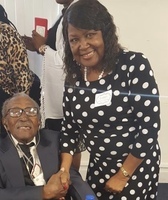 On January 20, 2019, The Lord called Deacon Augustus Cox home. He leaves the following to continue his legacy; Daughters: Yvonne Spencer-Elliott (Leroy) of Riviera Beach, FL and Deborah Williams; Son: Lannis Baker (Melinda); Grandsons: Bennie Lee Haynes (Caretaker), Kenneth Haynes (Yvette) of Atlanta, GA; Harold Keith Miller, Brian Haynes and Vincent Baker. Granddaughters: Cheryl Johnson, Linda McDonald (Kelly), Angela Williams, Brittany Golf- Luckett (Marco) of Bradenton, FL, A’lintra Baker and Vanessa Baker; Great-Grandchildren; Bene’ Sheree Haynes (Austin, TX), Kenny Haynes Jr. and Rosalyn Haynes (Atlanta, GA), Brandi Williams (Brian), Evelyn Johnson, Josiah Golf, Ashton Simon and Kayla Simon (Bradenton, FL), Walter Akeem Donaldson, Darius Haynes, Kaytrona McDonald; Great-great-grandson; Keymontae Haynes (Atlanta, GA). Nephews; John Robinson (Atlanta, GA), Raymond Robinson (Lakeland, FL) and Raleigh Cox III (Daytona Beach, FL). Nieces; Yvonne Roberts (Lakeland, FL), Rev. Gloria Cox (Monticello, FL), Lillian Brown (Daytona Beach, FL), Carol Bailey, Gail Spencer (Savannah, GA) Brenda Spencer (Savannah, FL), Deborah Johnson (Savannah, FL) Deloris Spencer; Step-sister; Alice Hamilton (Lawtey, Florida) and a host of other loving relatives and friends. To send flowers in memory of Augustus Harold Cox, please visit our Heartfelt Sympathies Store. We encourage you to share your most beloved memories of Augustus here, so that the family and other loved ones can always see it. You can upload cherished photographs, or share your favorite stories, and can even comment on those shared by others. Juan and Ketaya Vega sent flowers to the family of Augustus Harold Cox. Our deepest sympathy for your loss! Our earnest petition is that you embrace the words of Luke 20:37-38 and let them fortify your faith in future blessings to come. "He is a God, not of the dead, but of the living, for they are all living to him." This means that God has stored eternal life in his memory for Mr. Augustus, and he has the prospect of living in the new world just as God purposed obedient mankind to enjoy.--Genesis 2:15. I am so sorry for your loss. My very sincere condolences to your love one. The Bible is a source of true comfort during this very difficult time. Revelation 21:4 states, "And he will wipe out every tear from their eyes, and death will be no more, neither will mourning nor outcry nor pain be anymore. The former things have passed away." The Bible provides a real hope of being reunited with your loved one. (John 5:28, 29). Jehovah hates death; he views it as an enemy. (1 Corinthians 15:26) He has a longing to conquer that enemy, to undo death by means of the resurrection. He yearns to bring back those in mankind common grave and to see them live forever on earth again. (Job 14:14,15). For additional comfort please visit jw.org. To Sis Carol Bailey, you and the entire family are in our thoughts and prayers. May God keep you in perfect peace during your time of loss. 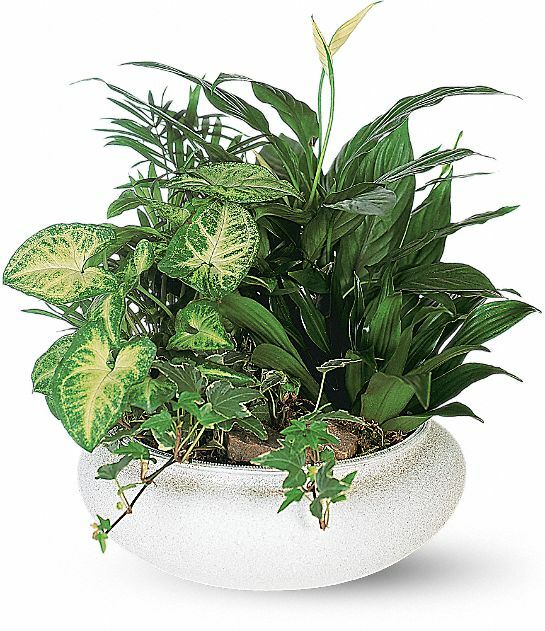 Juan and Ketaya Vega purchased the Medium Dish Garden for the family of Augustus Cox.